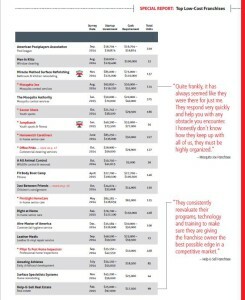 Help-U-Sell Real Estate was named one of Franchise Business Review's top low-cost franchises. 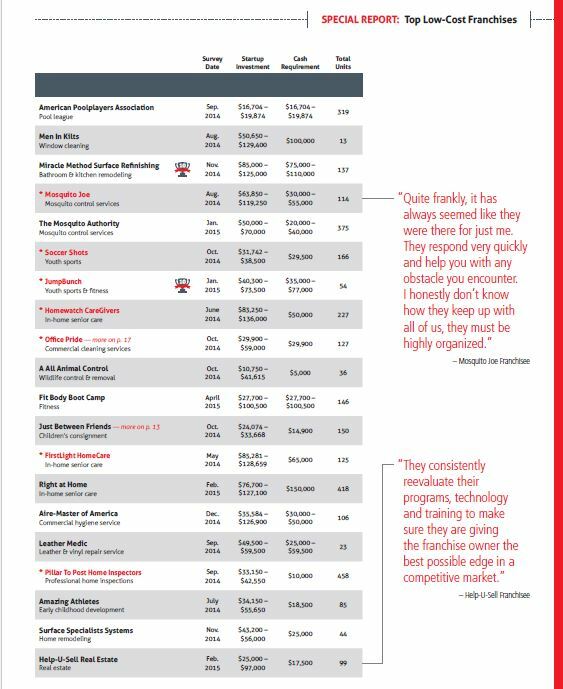 We are honored to announce that we have been selected as one of the top low-cost franchises in North America by Franchise Business Review, a national franchise market research firm. Franchisee satisfaction, as determined by an extensive survey, was the primary factor in creating the final list of 80 franchises that require under $100,000 of investment funds. You can read the entire report here. In total, Franchise Business Review surveyed more than 9,200 franchisees from 132 different brands, to identify the top low-cost franchises with the most satisfied franchisees. Keeping our franchisees happy is among our top priorities, so this is a particular honor for us. Right now, we are even more affordable with our franchise fee finance assistance program. You could become a franchisee for only $2,500 in up-front fees. Read more about the program on our website.